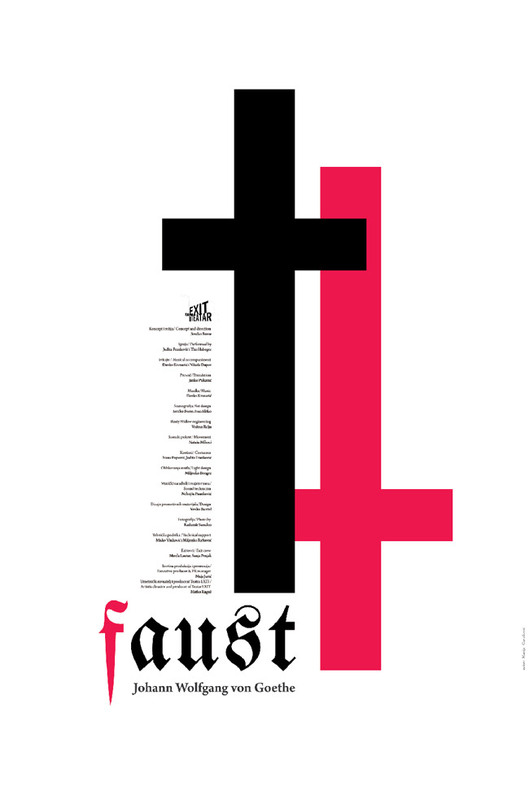 The first Poster Monday spot of the day goes to Marija Gavrilović from Kragujevac, Serbia for the poster “Faust”. Marija was born in 1991. She is currently studying Graphic Design at the Faculty of Applied Arts, in Kragujevac, Serbia and beginning a master, and as if that wasn’t enough she is looking forward to earn points to get a doctor degree in Graphic Design next year. This poster was part of Marija’s university projects. Faust is a play from Goethe and since its one of her favorites she knew a lot about it so it wasn’t hard for her to now exactly what she wanted to do. “My idea and inspiration was the story of religion and mysticism combined and contrasted. Faust is constantly struggling with his moral dilemmas, and his desire to see the more than the science is showing to people and is giving to humanity all together. I wanted to show a glimpse of that struggle between heaven and hell, between the right and wrong, and between mortality and immortality” says Marija. For Marija designing posters is a way for making a contribution to the modern world. Today, people are busy, they don’t have enough time to commit with art, for so she found in design a way to pull them closer to it. She has a firm and accurate belief; that art is something that is meant to enlighten masses or at least one person, but not to be held in secret or for ourselves. If you would like to know more about her visit her personal facebook page. And stay around until we unveil the second spot Poster Monday spot of the day.